Announcing our new look for Christine’s Recipes ! 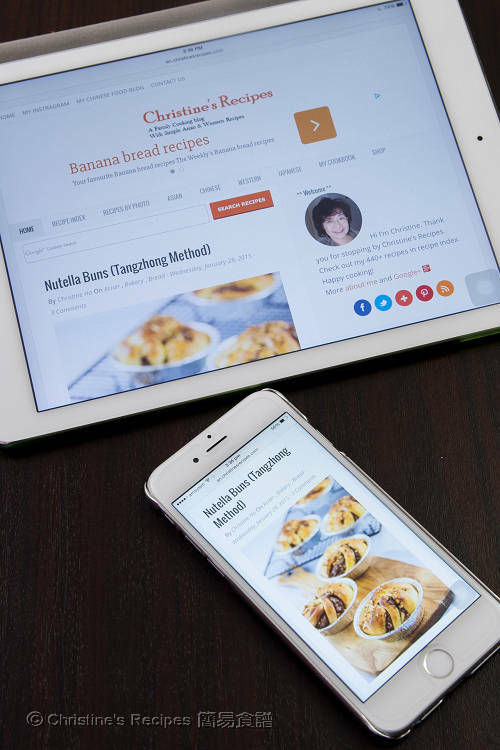 We’re so excited to present our new responsive design for you all that you can browse our delicious recipes at ease whether on a desktop computer, a tablet or a smart phone. The font size is increased and made easier to read on a smaller screen. We have also optimized and updated the recipe index to let you run a fast search for what you want. Besides, you can easily get the categories of all four seasonal recipes and quick recipes at the footer. On top of that, a feature of “Recipes by Photo” is newly added, so you can browse and search recipes by sighting photos. This function is put on the top navigation bar if using a desktop computer, just next to our recipe index. If you’re using an iphone, or an Android tablet or a smart phone, it’s located on the “Menu” bar. Just one click, you’ll get a drop-down menu. And there you go. With all these changes, hope you all enjoy browsing this site and looking for what you like. We’re still fixing some bugs. In the meantime, please bear with us. Let me know if you come across any problems. It’s much appreciated. The credit of redesigning our site goes to Chandeep SJ, who is experienced in working with Blogger templates, and worked so hard behind the scene. Finally, if you don’t want to miss any updates of yummy recipes, please subscribe this site via email for free. NEw site looks great! Congratulations. Many of my friends like its layout. Looks great Christine, congratulations! As a web designer, I was overjoyed to finally see one of my favourite sites go responsive! Now I can read your recipes when I'm commuting to work! I was also overjoyed to read your feedback here. 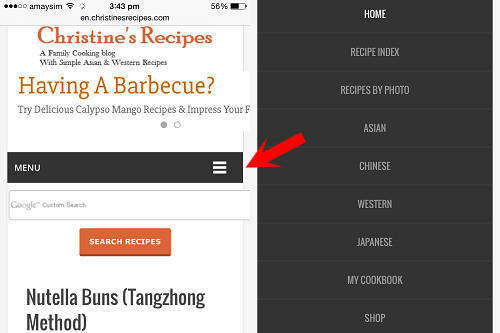 Hope my recipes can be read much more easier on different mobile devices.